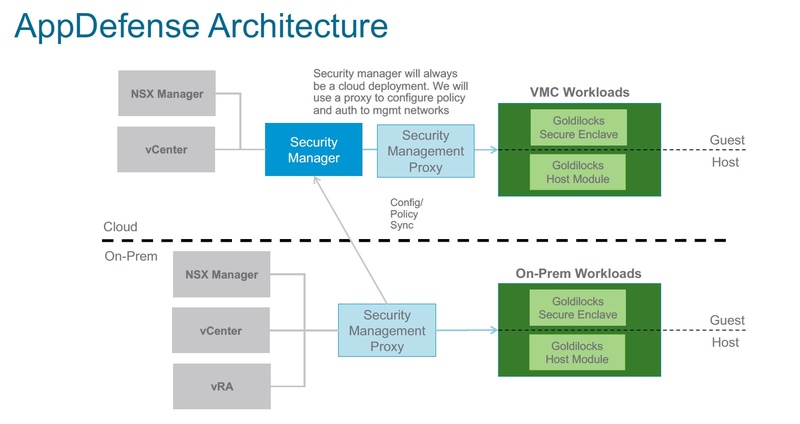 VMware has a vision to use NSX as the glue to bind heterogeneous endpoints together (Public Cloud, Private Cloud, New App Frameworks, End Users, Branch, Edge, IOT) that is secure, automated and consistent. 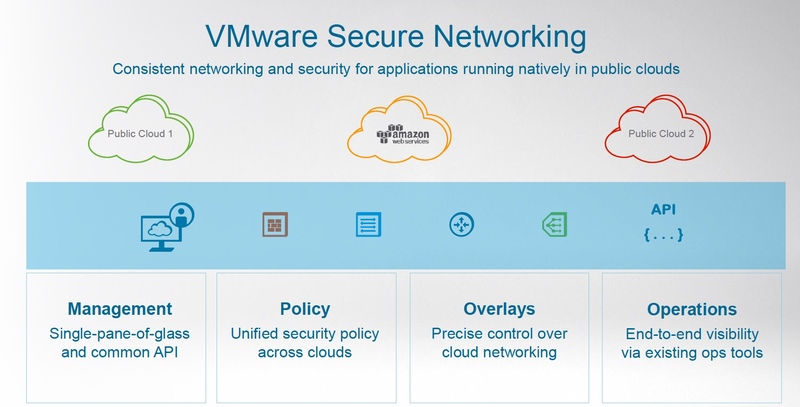 The following VMware NSBU announcements are the first generation of this vision. 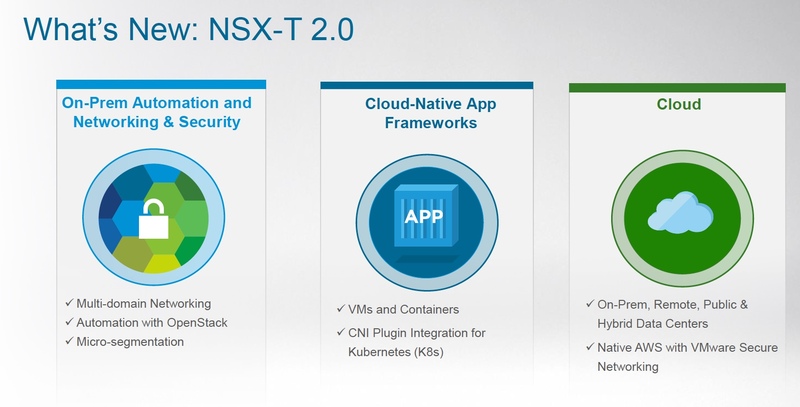 NSX-T 2.0: Multi-Domain Networking, Automation with OpenStack, Microsegmentation, VMs and Containers, CNI Plugin integration for Kubernetes, On-Prem, Remote, Public and Hybrid Data Centers, Native AWS with VMware Secure Networking. 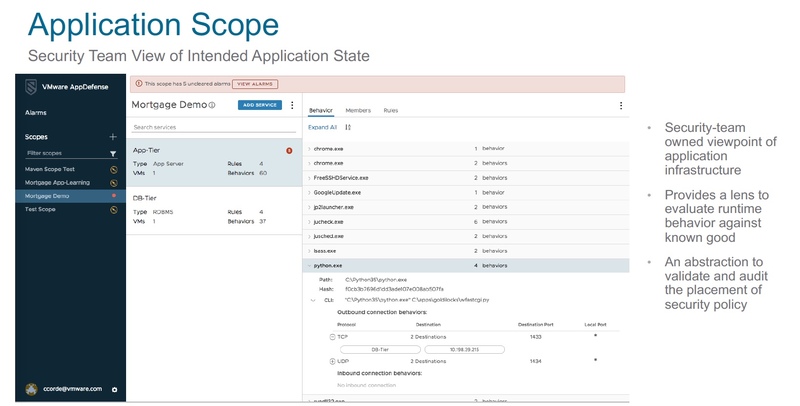 VMware Cloud Services – Discovery, Network Insight, Cost Insight and Secure Networking with various levels of support for native AWS, Azure (Compute) and vSphere. 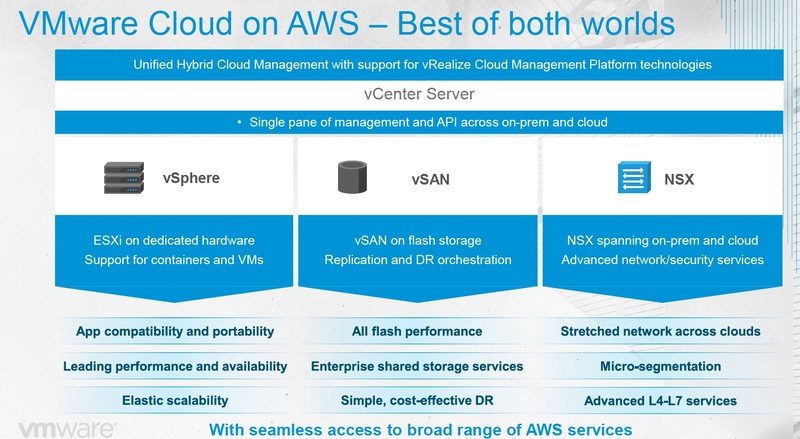 VMware Cloud on AWS service summary: VMware SDDC running on AWS bare-metal, support for containers and VMs, On-Demand capacity and flexible consumption, full operational consistency with on-site SDDC, seamless workload portability, direct access to native AWS services, global AWS footprint, reach and availability, sold-operated-supported by VMware. 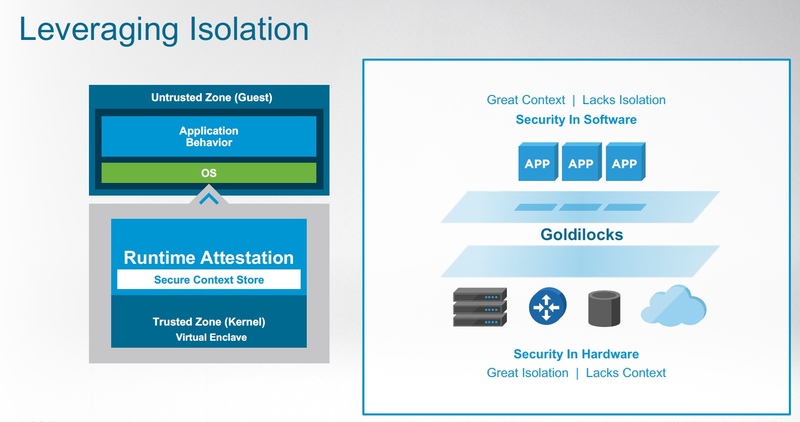 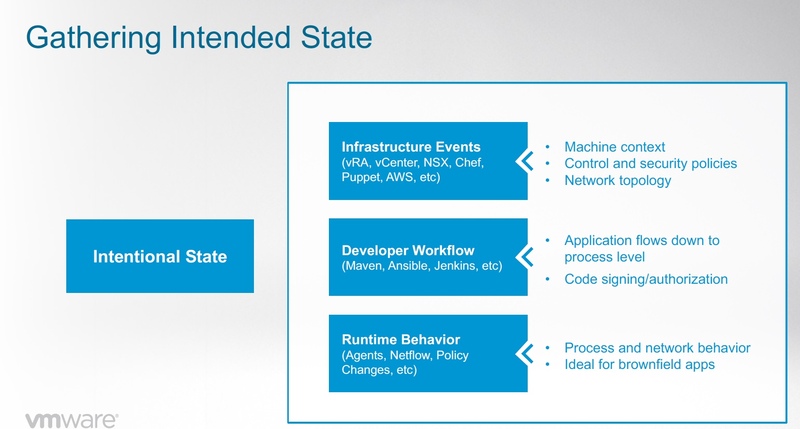 VMware AppDefense (formerly Project Goldilocks) – provides least privilege application control, runtime anomaly detection and response, process analysis and orchestrated remediation. 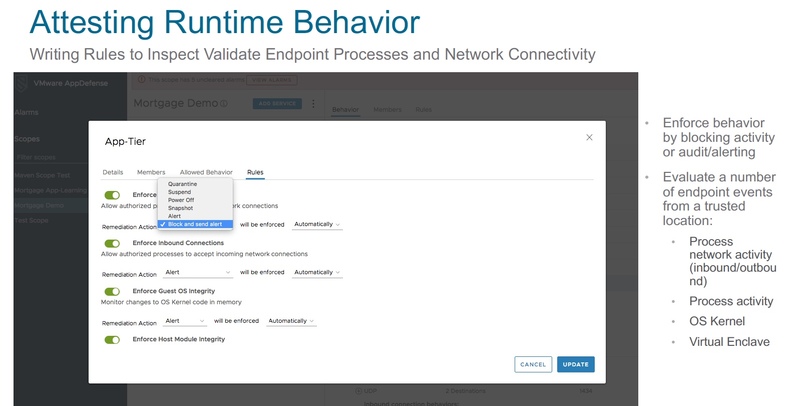 vRealize Network Insight 3.5 – supporting public cloud and additional on-premises third party integrations.